What better way to endure daylight saving day than going to bed early and new jarmas!! Last night I couldn’t wait to hop into bed with fresh clean sheets and wear my delightful Hibiscus Frill Pyjamas from Avon. The straight legged white pants are covered in bright pink bold Hibiscus flowers and have an elasticated waist. 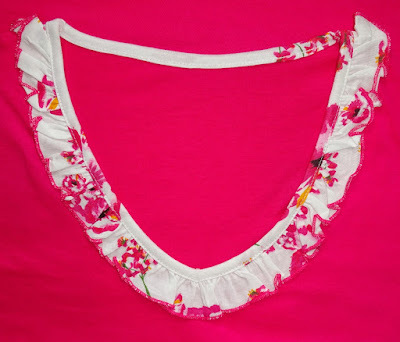 The bright pink V-neck short sleeve top is decorated with a frill around the neckline in the same material as the pants. I’m 5ft 6in and I’m wearing UK size 14/16 and I would say they are true to size. 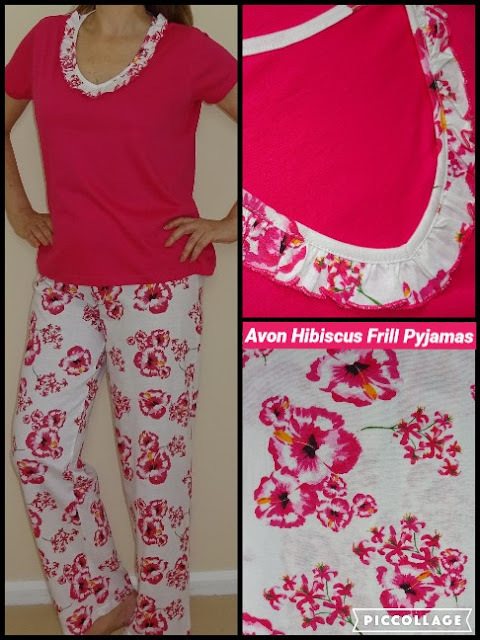 Made from 100% cotton, the Hibiscus Frill PJ’s are very comfy. These are my first Avon PJ’s and I’m definitely buying more. In fact, I’ve already got my second pair lined up and I’ve got my eye on a third! I’m starting to wonder if my PJ collection is growing faster than my going out clothes. Hey ho!